Astonishing images of the wreckage of SS Thistlegorm, a munitions ship sunk by German bombs in the Second World War, show why it has become a shipwreck explorers hotspot. 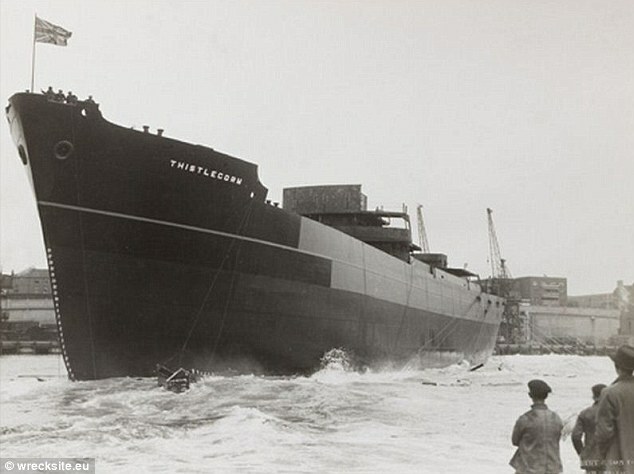 The ship was on what was to be her final mission delivering supplies to allies in Egypt when it was struck by a bomb in the middle of the night sending cargo of locomotives, tanks, airplane parts and motorcycles to the sea bed. The wreck was discovered by French explorer, Jacques Cousteau, in the early fifties, however, upon leaving Cousteau had the mast cut off to hide it from would-be thieves. The relic was rediscovered In the nineties and swiftly became a hotspot for shipwreck explorers and divers. 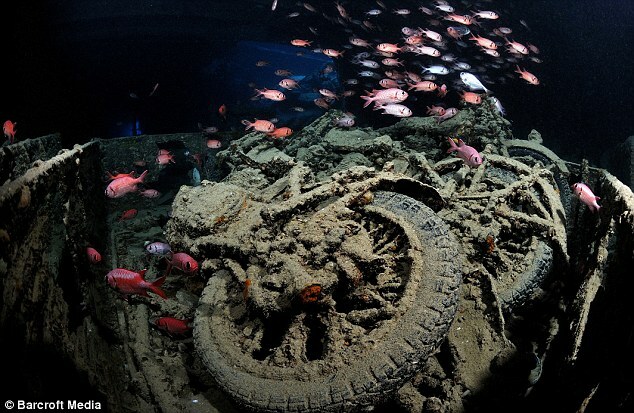 Today the Thistlegorm attracts divers from all over the world to Egypt, and its crustacean-clad cargo remains a stark reminder of the casualties sustained in the last Great War. Underwater photographer, Damien Mauric, 35, from Paris, said the wreck's history is a big part of the reason he likes to dive the Thistlegorm. 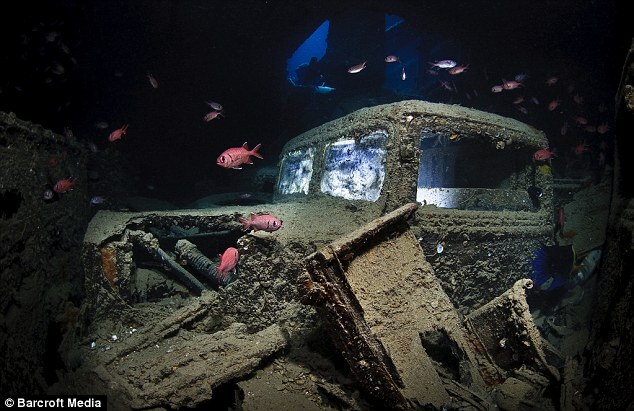 He said: 'What makes this wreck unique is that it is full of history, It's a very strange feeling to dive it. 'There's a small hole through which you can get into the hold with your torch. 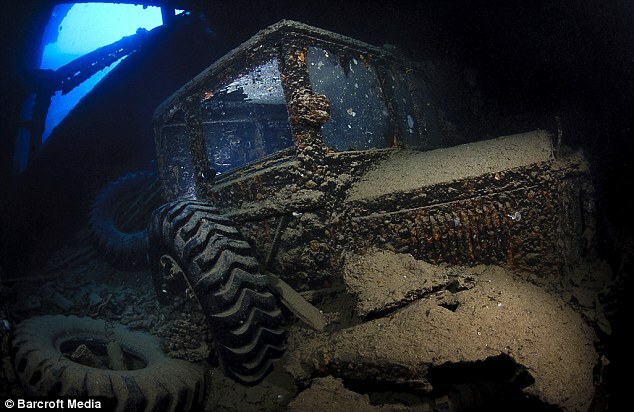 The remains of motorbikes ravaged by the ocean fill rooms inside the ship as well as jeeps decorated with hundreds of pairs of unclaimed wellington boots. 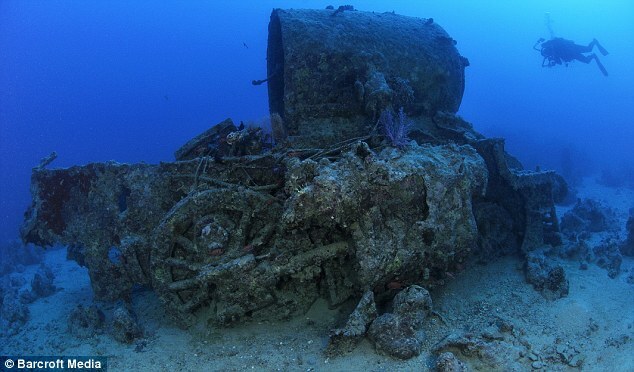 A locomotive destined for the Egyptian Railways which was blown out of the ship by the explosion 70 years ago, lies discarded on the seabed. These stunning pictures taken on Mr Mauric's last trip to Egypt coincided with the country's revolution, which began in January this year. 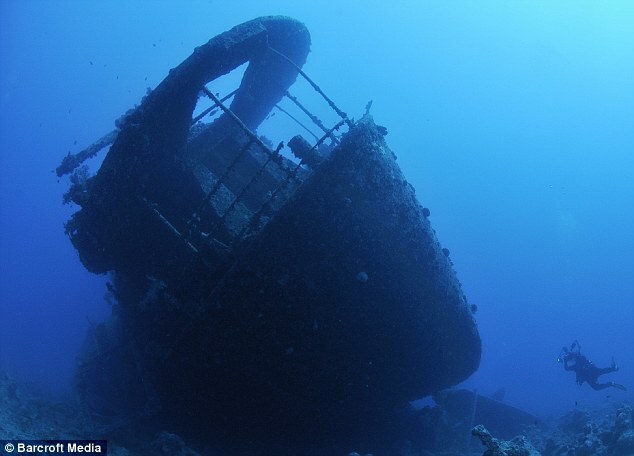 He said: 'Although people warned it might be dangerous, it was actually the best time to explore the wreck and visit Egypt. 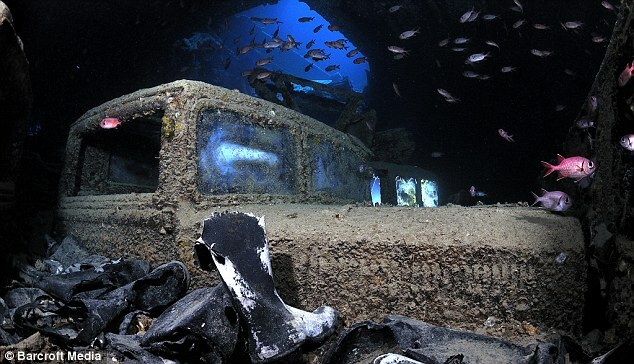 'The first time I dived the Thistlegorm, there were hundreds of other divers down there. 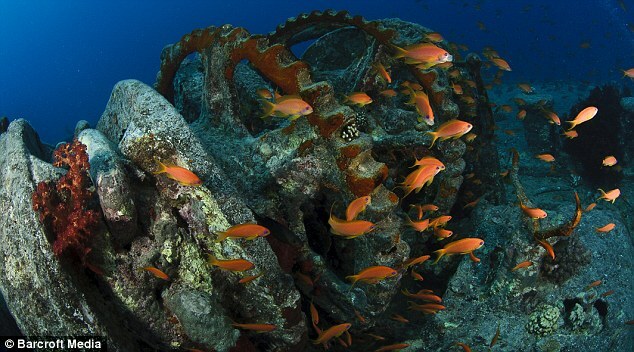 Over the years parts of Thistlegorm have been damaged by divers, mooring boats and the effect of the ocean. If one of the two remaining holds collapses in on itself, the chance to view the historic relic will be gone. Mr Mauric said that although he is enthralled with the excitement of underwater exploration he wants to change the way people treat the ocean. He said: 'Dive photography is a great passion of mine and I've traveled all over the world to do it. 'But the reason why I take pictures is because I feel extreme concern at the moment at the way we are treating our oceans. 'With my work I want to show how the oceans are beautiful and if they are not protected we are probably going to be the last generation to see them in this state. 'If we don't change the way we fish and treat the seas, future generations won't be able to take pictures like these.